Malahat intern Benjamin Willems talks with 2013 Open Season Award for Creative Nonfiction winner Susan Buis. First off, congratulations on winning the 2013 Open Season Award for creative nonfiction. Susan Olding nailed it down in her comments about "The Falling House": it's all about the way things are painted, the layers of the paint. The story's most crucial element is its paintedness, after all, the looseness of everything detailed. Each fine point is essential, though there are many fine points. As important as this is in writing, it's maybe a more obvious focus in the visual arts. But you hadn't at this point painted in twenty years, and this is surely a piece of writing. Is the dense, panoramic language in here just what comes out of you automatically—at least as far as writing goes? The density of my writing comes from my training as a poet, and my intention to reproduce, maybe just of an instant, the sensual complexity of being. In visual art, this can be accomplished through techniques such as overlay, multi-disciplinarity, and intertextuality. Ten years ago, I had to choose between accepting a graduate position in Visual Arts or in Creative Writing, and opted for writing. I find it so economical of means; I need only pencil, paper, edge of a table, and a period of silence. I approach my prose texts as if writing poetry, prioritizing metaphor and image over narrative. I have no gift for plot. I don't have much of a gift for plot, either, and while that's often a blessing I'm not the most prolific animal. "The Falling House" isn't very long, and rightly so; your instinct is for poetry, so a distilled story like this only seems natural. Is this close to what the story looked like originally? Is it a part of something a bit larger? Actually, the initial draft came easily, an impression about the same length as the finished piece; the work comes later, research through photographs, old sketchbooks, to sharpen focus and fact, the identification of themes and weaving them throughout… you know, the craft of it. This is the process that I really enjoy, but takes me considerable time. "The Falling House" isn’t part of a longer work, but one of a series of works. Honestly, I wish my writings could be longer, it amazes me how anyone can write a novel—that extended focus is astonishing. So it seems to me like you might be involved in some other non-writing, non-painting art practices. Am I wrong about that? The accumulation of material stuff—the constructed object, the masses of art supplies and materials, as well as a studio space to house all of it—makes me anxious. Now, I approach my habit of walking as an art practice—I collect images and phrases during these times. It’s a creative activity, nourishing, yet ephemeral in that I produce no physical objects other than, eventually, text on paper. If you're collecting words on your walks I'm sure you keep a journal or two somewhere close to your writing space? Oh yeah, I have pockets full of scraps of paper, receipts with penciled notes in my car, and notebooks everywhere. I love the look of script on paper—like word-thought drawings. 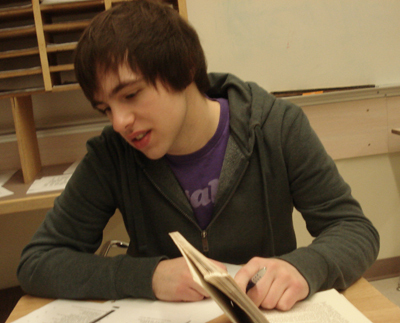 So you write poetry, creative nonfiction, you teach English at Thompson Rivers University. There won't be a Susan Buis novel coming out any time soon, but are you interested at all in short fiction? I do write short stories; for me, writing across genre is like cross training, moving from the intense lifting of poetry to the stretch out of a 10K run of narrative prose. I am planning a residency in Banff this spring, primarily to work on poetry, but hope to work on stories and nonfiction pieces too. Different muscle groups. There were these little bits that you brought into "The Falling House" about Saskatoon—the endless winter, the merging of the suburbs with more industrial properties. Even the decay of the house seemed weirdly familiar to me, as a person from Saskatoon. These details pulled me out of "the fiction" of this story. At least, I don't know if it matters—as far as words on a page go—whether this was nonfictional or not. Which muscle groups get more exercise in your fiction? The line between the categories of fiction and nonfiction, even if "creative," confounds me sometimes. I try to stay honest about events, while acknowledging that memory is fickle and imagined. And I agree with you that I don't know if it matters, what is nonfiction or fiction, to me in any case, but I try to approach the past with respect. I exercise for endurance in writing fiction, go for the burn. At the end of the day though, it's my brain that hurts, and the sit bones too. What does your day-to-day art and literature intake look like? Movies count, if you're into that. I slow-read and re-read contemporary Canadian poetry and novels. My family watches a lot of documentaries, especially about art and music. The art film Heima about the band Sigur Rós playing free concerts in small villages around Iceland is just beautiful. As is Wasteland, about the artist Vik Muniz and the garbage recyclers of Rio de Janeiro. Judging by all those titles—and the description in your story of your rural home—it sounds like you have a healthy preoccupation with the natural world. Now I'm wondering what your walking habits look like. Do you find it difficult to write the world in a "natural" way? My walking is a daily habit, routes determined by access and the seasonal presence of cattle, ticks (hate 'em), snow, and mud. I am lucky, I live in grassland, our road goes high through cattle range. There's a lake nearby. I admit to sometimes trespassing. I try to empty of chatter and anxiety, to find a receptive place of observation. The words "nature" and "natural" are somewhat uncomfortable, although I resort to them, the land is fraught with politics and romanticism, but the observed world remains a starting place for me although much of that writing is later edited out. Even when I lived in LA, it was the non-human life that caught me. Any wisdom for all the dejected writers not winning contests? No wisdom but encouragement—persistence is vital. I write because I love to. Some of my pieces that have been published had been turned down in previous situations; I don’t know any writer or artist who hasn’t met rejection. And sometimes there’s serendipity— the right piece meeting the right reader. Any literary projects or plans for the near future? This spring I am off to Banff Literary Arts Writers Studio to work on a poetry manuscript. I am pretty thrilled about that. 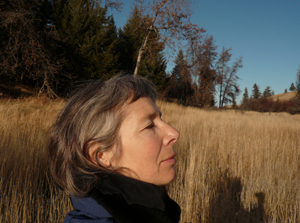 Read more about Susan Buis's winning CNF story here.